We are a newly retired couple. We like excursions, travel and gastronomy. We also take some time fishing, sailing and enjoy the family, very special way of grandchildren. We acquired this property because it is practically stuck to the sand of the beach, it is a terraced that makes chamfer and we do not have anyone up or down the house and especially the area, which gives us much tranquility when being in an almost rustic environment with vegetation autochthonous and without tall buildings (only houses and townhouses). We have enjoyed the whole family for many years of summer with a wonderful temperature, both summer and winter. The Valencian Community enjoys a benign climate, which is accentuated in the coastal zone, without extremes of cold or heat throughout the year, which makes possible all kinds of crops, including orange, fruit and vegetables. With deserved reason it is said that the area "is the best terreta del mon" (it is the best land in the world). All this without forgetting the mountains that surround us very close and others not so much of the beach where also they are enjoyed, as much for the outsiders as for the foreigners that every day approach and settle in this earth inhabiting it during great part of the year or like habitual residence. THIS HOUSE IS CATALOGED AS A STANDARD TOURIST HOUSING FOR THE TERRITORIAL TOURISM SERVICE OF THE GENERALITAT VALENCIANA WITH REGISTRY NUMBER V-35372-V, which gives the tenants an additional guarantee in terms of their conditioning and services established in regulations. Be on the terrace with absolute tranquility listening as the waves of the sea break at night, with the freshness that gives the sea breeze by the proximity. Take out the fishing rods and be at a time on the fishing shore. No traffic or vehicle noise, directly to the beach by private access to the urbanization (19 townhouses only). In winter you can enjoy the wood burning fireplace, reading any book or listening to music with absolute tranquility and exceptional comfort. Sea view from bedrooms. The house is all exterior, except the toilet, which gives you joy for the natural light. There is a beachbar "chiringuito ??" on the very shore of the beach, about 200 meters from the house where you can have any drink or refreshment by the waves, both day and night. Hair dryer. Bath with screen. Bidet and current toilet. Walls and floor porcelain tiles Spacious and with lots of light (exterior). accesso al mare diretto con igresso privato. Casa Spaziosa con ogni comfort. 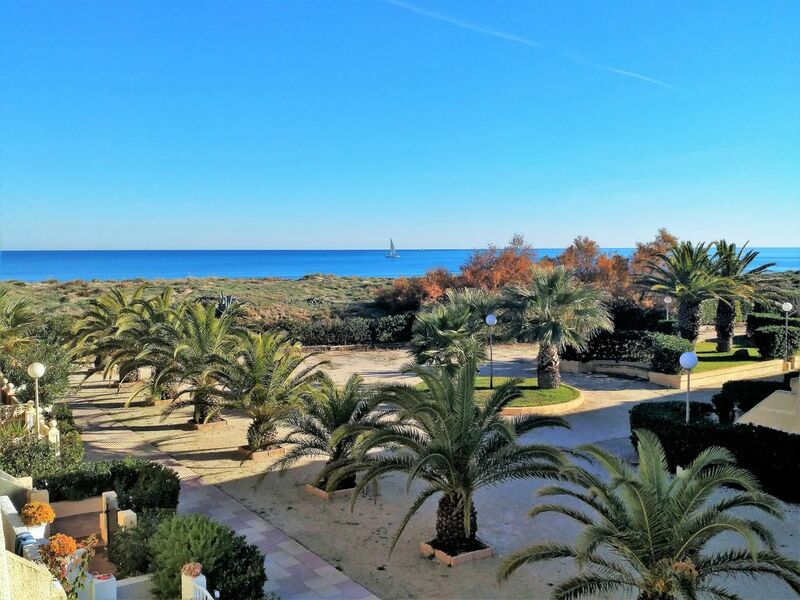 Disfrutamos de la casa y de la magnífica playa de arena fina con aguas muy limpias y mucha tranquilidad de la zona. El anuncio es totalmente correcto y el acceso a la playa es privado. Water sports 550 meters from the house: windsurfing, surfing, kite surfing, sailing. . Club course 7 km with bike rental. Orange groves. Mountains. 11 km long beach with fine sand and native vegetation. Very quiet around the house. It seems private beach (no crowds). Private access to the beach. 300 meters from Camping Kiko. CASTELLANO Con el objetivo de favorecer un uso responsable de la energía, el alquiler no incluye el consumo de electricidad. Realizamos una lectura del contador a la entrada y otra a la salida y cobramos a razón de 0.25€ kW/h. consumido. Para su información, el consumo medio ronda los 25 € por semana. Mínimo 3 euros/noche. Ropa de cama y toallas incluidos en el precio. No proveemos de toallas de playa ENGLISH To promote a responsible use of energy, the rental does not include the electricity consumption. We take a note of the electricity meter reading on your arrival and another one when you leave. Your effective electricity consumption will be charged at a rate of 0.25€ per kW/h. For your estimation, the average consumption for the past twelve months is been 25€/week. Minimum 3 euros / night Linen and towels are provided at no extra cost. Beach towels are not provided. DEUTSCH Um einen verantwortungsvollen Umgang mit Energie zu fördern, die Miete beinhaltet nicht den Stromverbrauch. Wir werden dem Zählerstand bei Ihre Ankunft und bei Ihre Abreise lesen. Wir verrechnen Ihre tatsächliche Stromverbrauch mit 0,25€ pro kW/h. Für Ihre Auskunft, die durchsnitliche Wochen Verbrauch beläuft sich auf 25€ /Woche. Mindestens 3 Euro / Nacht Bettwäsche und Handtücher werden ohne Aufpreis zur Verfügung gestellt. Wir stellen kein Strandtücher zur verfügung. FRANÇAIS Pour promouvoir une utilisation responsable de l'énergie, la location ne comprend pas la consommation d'électricité. Nous faisons une lecture du compteur à votre arrivée et un autre à votre sortie. Nous chargeons 0,25 € par kW/h. Pour votre information, le coût moyenne est 25 € par semaine. Minimum 3 euros / nuit Draps et serviettes sont fournis sans frais supplémentaires. Les serviettes de plage ne sont pas fournis.